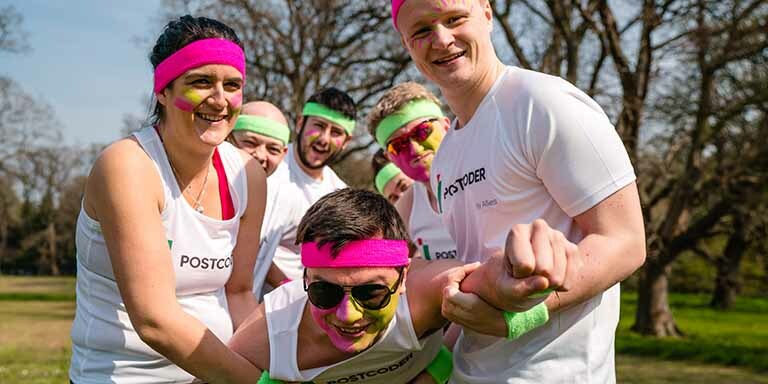 Today, we mark the release of an update to PostCoder's My Account admin portal. As some users have already found, the update is designed with usability and convenience in mind, consolidating and simplifying some commonly used pages and improving overall performance. For account holders who have not yet had a chance to explore the new interface, we've outlined the details on a few of the things that have received updates below. Updated dashboard. The first screen you see when logging in now puts the most important information right at your fingertips; an account's remaining credits and API key are displayed right at the top of the page for convenience. 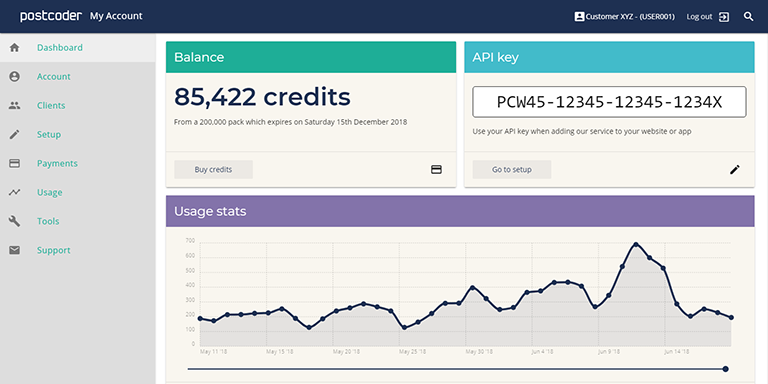 While on the dashboard, if you have multiple API keys for your business or different clients, you can see their recent usage at a glance to check that everything is going smoothly, and when they're likely to need a top-up. Improved performance in reporting. This is a welcome improvement for large accounts with lots of usage, and for resellers with a large number of clients. Charts, graphs, and tables will all load much more quickly, speeding up your workflow while visiting the My Account area. Setup resources are all in one place. Log in, then get your API key and example code in your platform of choice all from the same page. Now featuring new Node.js, C# and iOS Swift examples to compliment our existing code snippets. New notification system. This section of your account now keeps you up to date with changes to the service or when action is required in your account. Alongside these improvements, we have also redeveloped our My Account lookup tools. 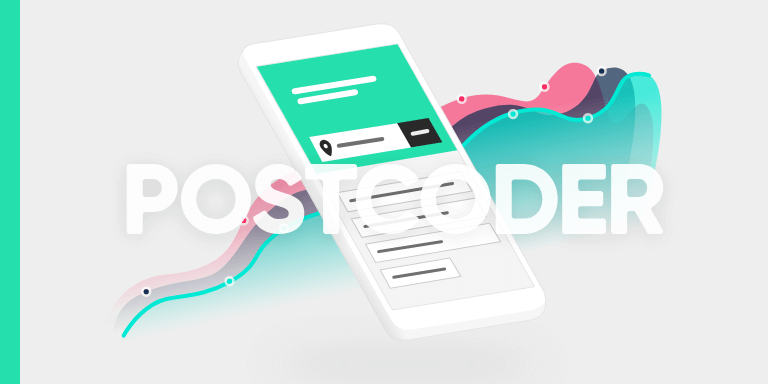 This section allows developers and non-technical colleagues alike to explore PostCoder's endpoints, see how many credits each search deducts from your current total, and view the full API request being made. 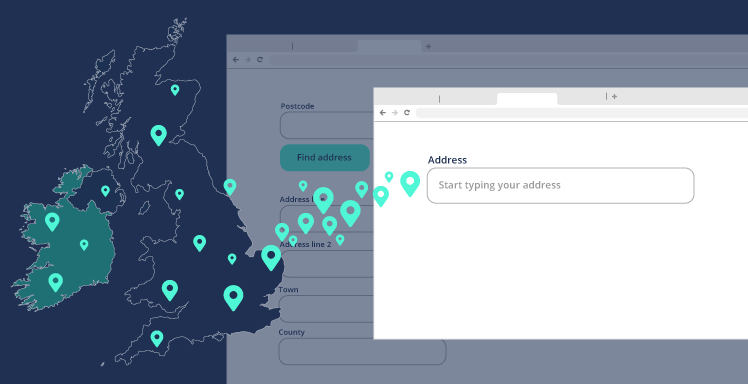 "Behind the scenes, we've always kept the PostCoder API on the cutting edge, and this user interface update makes sure our administration tools reflect this", says Tim Stephenson, Head of DevOps at Allies, on the update. "This new interface will feel familiar and intuitive to existing users of PostCoder, while helping newer users to quickly get started with our services. As always, if you need a hand finding anything in the new My Account area, our support team are close at hand to offer advice via phone, email, or over live-chat." To take a look at the new the My Account area, simply log in as normal. Don't have an account yet? No problem. You can sign up for a no-obligation free trial today.